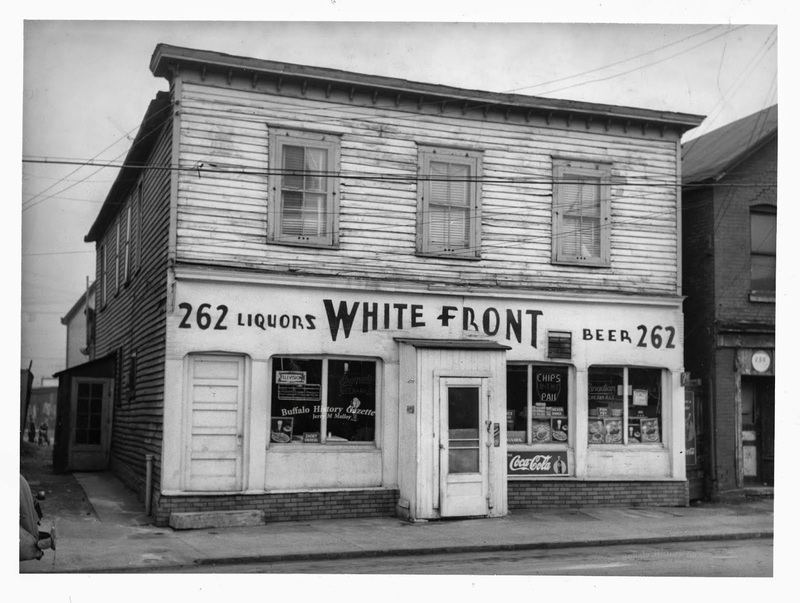 Customers at the White Front Restaurant in Ohio Street, have commented enthusiastically on the tasty additions to the fish fries served this summer by Mrs. Frances Malachowski, known lovingly to many Buffalo boys in the service as just "Ma." Parsley potatoes — fresh sliced tomatoes—hamburgers with home grown onions. "How do you do it," they ask. "My Victory Garden on our shed roof" is her quiet answer. And it's true. There are long boxes in which tomato plants reach from the floor level to the railing and blend their sturdy sterns into a second tier of boxes. These are gay with marigolds, petunias, balsam and other annuals which form a spot of color against the outlines of neighboring roofs and chimneyed skylines. Boxes, flats and pans of all sizes and shapes are producing their quota of carrots, beets, chives, parsley and onions. Even a squash vine clings to the roof supports and reaches for the ground. A monthly blooming rose bush in a tub was called to the writer's attention as the story was un-folded of the days in early spring when dirt was carried to the roof top and precious seeds planted "because we wanted to do our part, and we also like to grow things. Attention also was called, at the end of the visit, to a row of service flags along the wall behind the bar downstairs and to pictures of the boys in many branches of Uncle Sam's service. 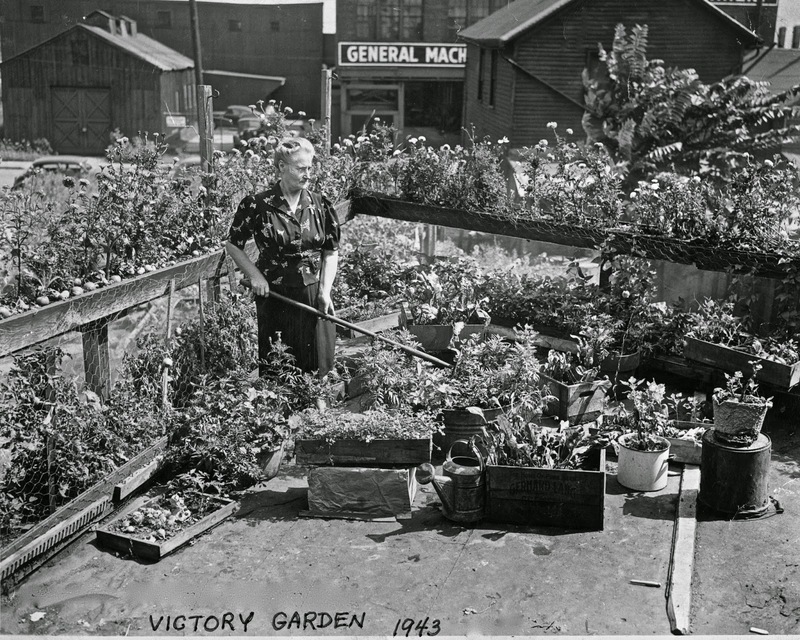 Victory Gardens were encouraged by the government during World War II to help offset the difficulty in getting produce to markets because of labor & transportation shortages, and to help people have more food for their families than the War rationing allowed. 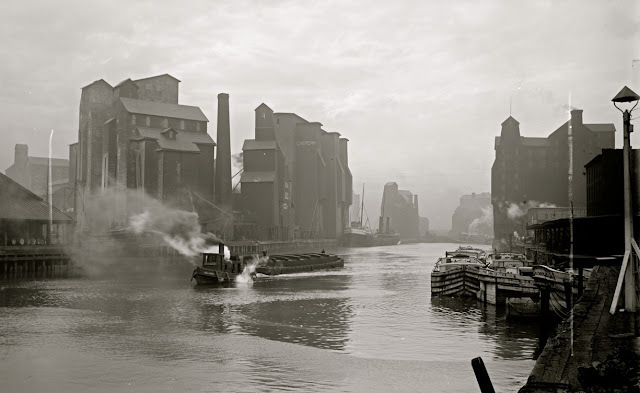 Nearly 20,000,000 Americans participated planting gardens in empty lots, backyards and even rooftops as my Grandmother did above, behind the White Front.